The Honors College at Harris Stowe State University strives to enhance the academic and social standing of its students through a challenging yet rewarding curriculum that will help shape and maintain a well rounded scholar. 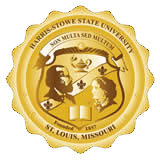 The Harris-Stowe State University Honors College offers high aptitude students the opportunity to participate in a challenging yet rewarding academic experience exploring the breadth and depth of the university curriculum. Honors College students broaden critical thinking skills, learn how to conduct independent research, and serve as leaders and agents of change within a global community.